My son always has a hard time picking out a Halloween costume. Sometimes I just have to help him decide, but as he's gotten older he's been better able to figure it out. My daughter, who was a pirate last year, is happy with a doctored up store-bought costume. My son, however, really would rather make one for himself, which is fun if he decides with enough time to construct it. From what I hear, my husband had a similar bent! So last year, the day grew closer and no costume ideas were in sight. I drove my daughter to the store to look for ideas and came back with a pirate outfit. I think my son got nervous, but maybe it inspired him. Shortly after he landed on the idea of being an Enderman. He showed me what an Enderman was, foreboding as that sounds, and I thought we could make it happen. So I found a box and stapled a helmet from a previous Halloween costume into to the top of the inside of the box. I cut out a strip of cardboard for his eyes and told him to paint it black. At the dollar store we got glow sticks and put them on just in time for trick-or-treating. For the rest of his outfit he simply wore all black. 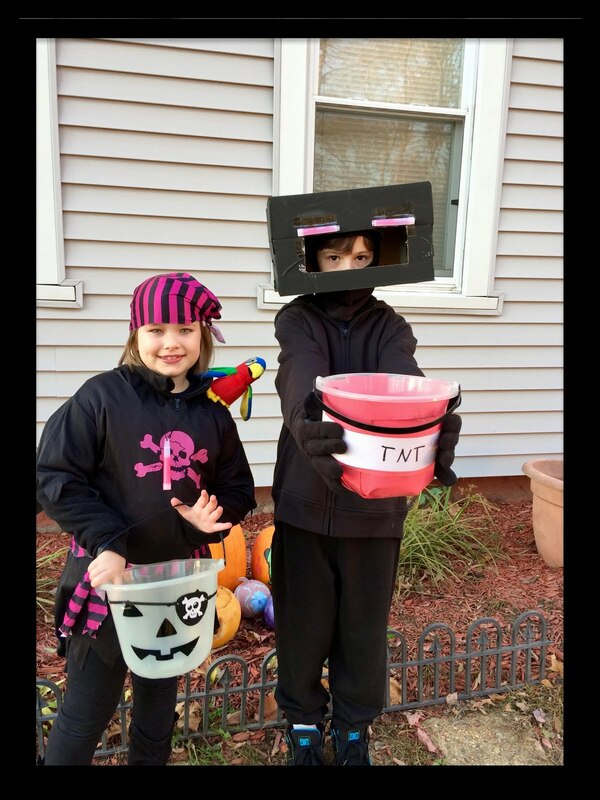 For his treats, he covered and old trick-or-treat bucket with construction paper in the design of TNT. You Minecraft fans will know what I'm talking about. So there you have it. 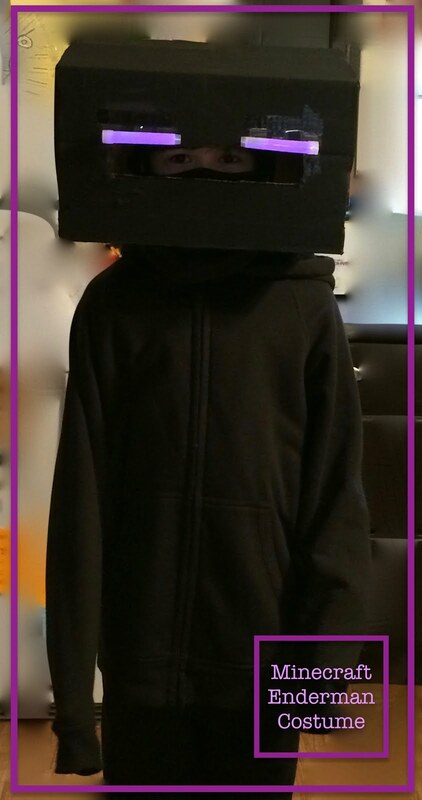 A simple, mostly kid-made Minecraft costume that won't break the bank. When it comes to costumes, store-bought isn't the only option! Love these - what fun! That's a super creative idea for a costume. Creative costumes always seem better, don't they! Nice job in getting it completed just in the nick of time! Thanks! And this year we still don't have a set plan. We need to get on the ball! I would like to thank you for theefforts creation you have made in writing this article. I am hoping the same best work from you in the future as well. In fact your creative writing abilities has inspired me to start my own Blog Engine blog now. Really the blogging is escalationits wings rapidly. excellent publicize. i used to be checking for eternity this weblog and i am inspired! extremely useful auspices specifically the final allocation I take care of such data loads. i was searching for this precise counsel for a every one long time. thanks and pleasing good fortune.